Snuggle underneath this soft, light quilt — filled with a minimum of 70% duck down for luxurious warmth and insulation on even the coldest nights. The Ovela 70% Duck Down Quilt makes bedtime better. 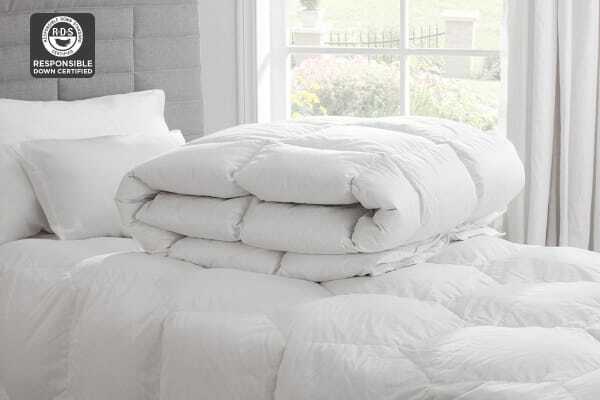 Made with the softest cotton and the cosiest mix of duck down, this quilt adds a little luxury to your home. 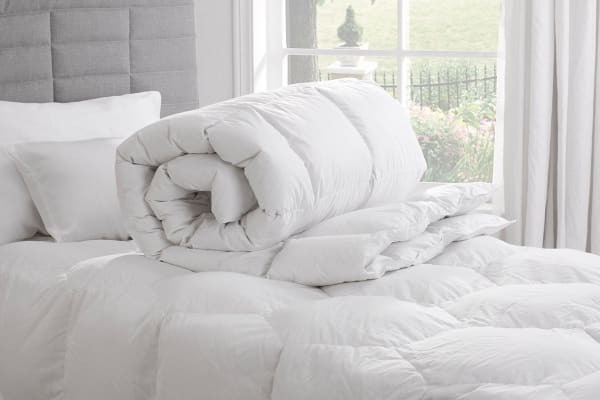 Use this thick, plush quilt all year round for the ultimate in comfort and warmth. Duck down filling is soft, light and warm, allowing your skin to breathe. Each down cluster traps more body heat than synthetic fibres, making down an excellent choice for the winter months. 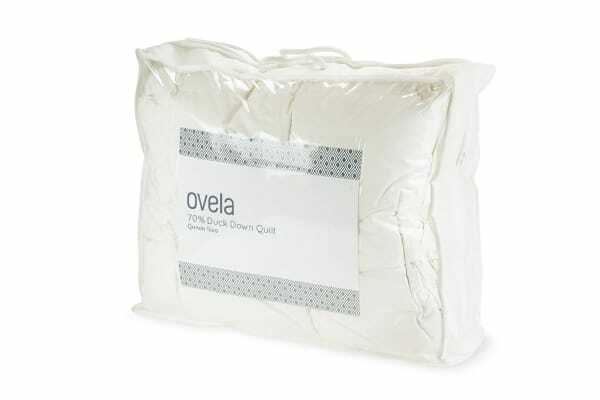 Down quilts also draw moisture away from your body, keeping you cool and comfortable even on warmer nights. Down is also more resilient, typically lasting much longer than synthetic fillings. This high-quality down-filled quilt can last up to 30 years, while a synthetic quilt lasts, on average, around 10 years. Using this doona has meant that I can now put away the other two blankets and extra doona that I was using previously to keep warm. this doona is proving to be a Godsend as I suffer from osteoarthritis and this makes it difficult to manage with previous set up but with the down doona, I find it sooo much easier to manage during the night. Thank you.. The Duck Down quilt is very warm and cosy. Just the right thing for winter nights.